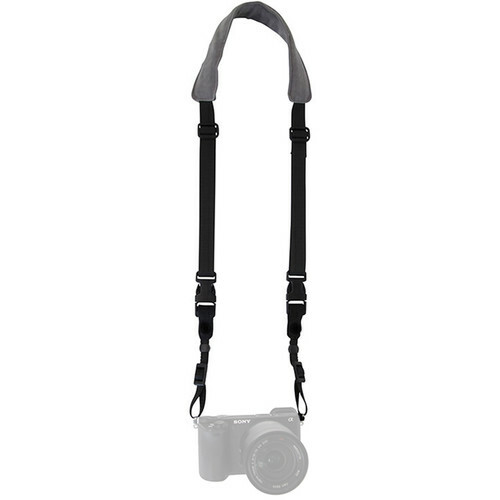 The gray QR1 Quick Release Camera Strap from Capturing Couture is designed to hold any camera, from mirrorless to DSLR. Made with a padded, faux suede, bleed-free neck strap and easy connect and disconnect clips, the QR1 slim camera strap distributes the weight of the camera for preferred positioning. The strap is adjustable from 30 to 64" in total length.